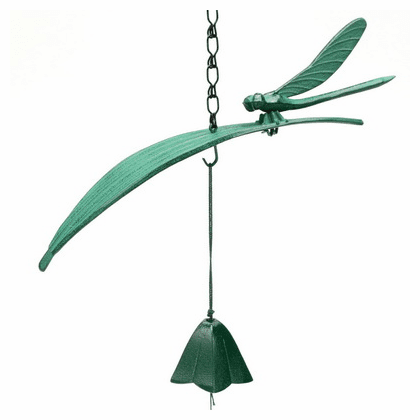 Green dragonfly on a leaf cast iron wind chime furin. Makes a soft, soothing sound, paper wind catcher included in box that holds the wind chime. Leaf: 9" long, 1-1/4" width. dragonfly: 4" long, 1-1/4"width, Bell 1-1/4 tall, 2".